Collleen and I stopped by Blue & Gray Brewing on Friday evening while our son was at swim practice. We'd been wanting to get a taste of this year's Virginia Hefeweizen, but hadn't found the time to get over to the brewery. For those wondering, yes, I also had planned to try the Cicada Tacos or Cicada Chile special's planned in the brewpub. Alas, the nanny-state stepped in and put the kibosh on that menu, objecting that the cicadas weren't "from a registered source." Virginia Hefeweizen is truly "local", using two row grain grown in the Northern Neck of Virginia and malted at Copper Fox Distillery in Sperryville. 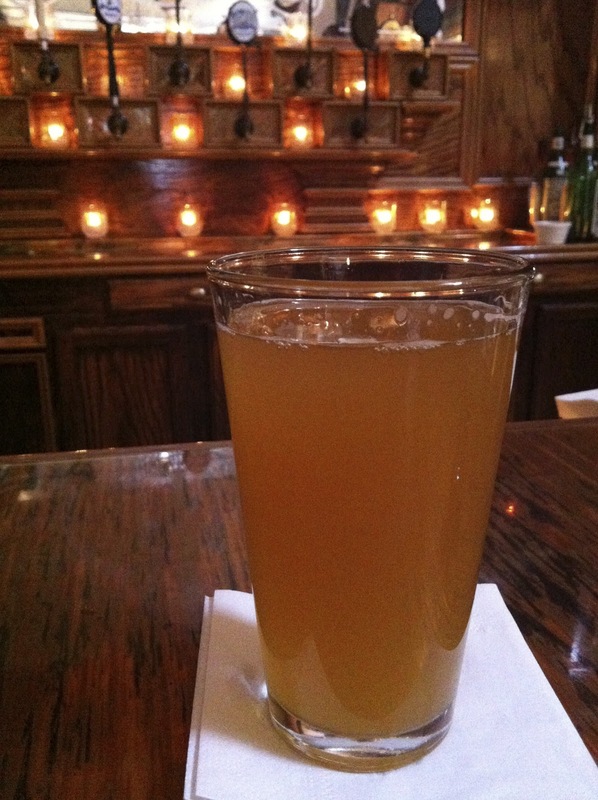 The beer pours a hazy orange color, with a very thin and short-lived head. The aroma had some of the typical spice notes, a hint of citrus. There was some faint bready malt notes as well. The flavor did not have the strong banana or clove flavors of a typical Hefeweizen, trending more towards bready and sweet malts. The finish was dry with a mild bitterness at the end. Overall, this year's Virginia Hefeweizen is a mild drink, perhaps slightly off-style, but one I enjoyed nonetheless. In fact, I enjoyed it well-enough to order a second round. The smell of spiced "peel & eat" shrimp hung in the air inside Lee's Retreat, so we succumbed and ordered a plateful to share. The shrimp were large sized, plump and tasty. The shellfish and hefeweizen went together quite well. Our brief visit to Blue & Gray was an enjoyable way to wind down the work week, and kick off the long Memorial Day weekend. It was indeed. Could have had more, of both, if time had allowed.